As a designer of plant interiors, vision becomes a mental lens that breaks through the ordinary to see things anew. And with vision comes the ability to create a new look for clients by evaluating lighting, looking at traffic flow and examining design schematics. Yet the hardest aspect of design work is projecting that very vision into the client’s minds. Art sketches are useful in some respects. But 3D elements are better displayed via computer imagery. 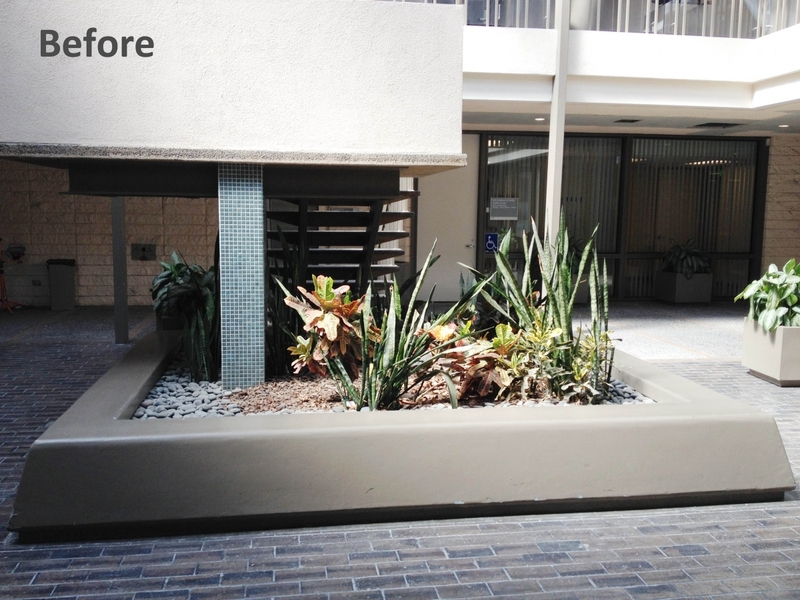 And in this day and age where digital technology is found everywhere, it is no surprise that computer imagery to illustrate designs has become a useful tool for the interior plantscaping industry. We’ve initiated a process that takes all the information our professionals have gathered from our clients so we can create the perfect design for their spaces. It involves a before picture of the area digitally taken with a camera. 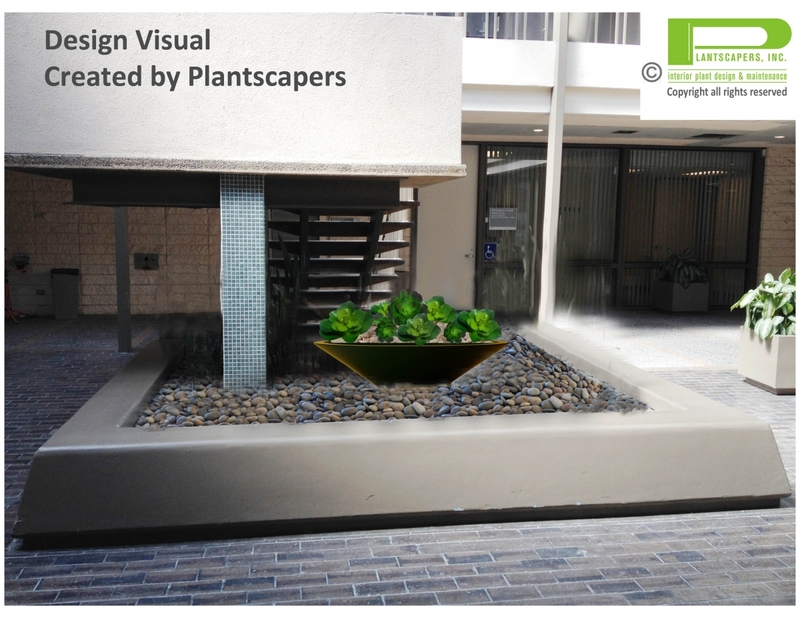 And through the magic of computers, we compose our design into the client’s image for an after picture to clearly show how our plants look in their space. The visual generated from the digital process provides the perfect guideline for both the designer and the client to collaborate on the design. Each area of the room is analyzed to complement it with the right plants and containers. 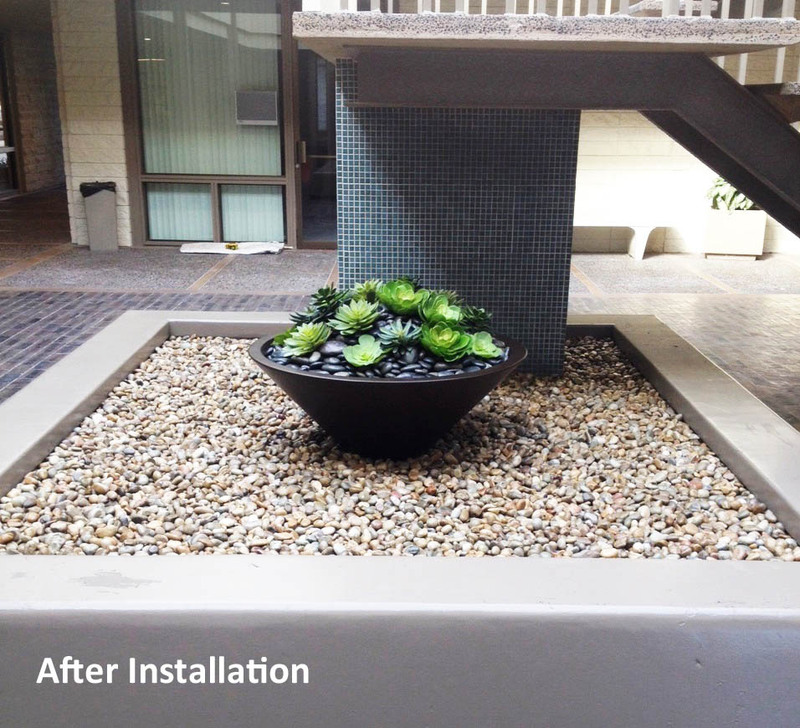 For instance, if the client’s overall look involves straight modern lines, tall angular containers with accompanying plant can be shown in the picture how it flows with the rest of the design. The visual presentation of each idea or change not only keeps the client up-to-date, but communicates the design you envisioned perfectly. It’s a savvy tool with profound results that ensures 100% customer satisfaction. Whether a space is contemporary or has a softer traditional look, we must always look ahead with visionary methods such as computer imagery to build the perfect interior plantscaping spaces.